So you really don’t want your homeschool co-op to hire teachers as employees, but how can you run your group without them? Carol Topp, the HomeschoolCPA , offers a few creative ways to run a homeschool co-op without hiring employees or dealing with payroll. The IRS imposes strict penalties on an employer who treats workers as Independent Contractors when they should be employees. These penalties have put homeschool businesses and nonprofits out of business. Carol Topp, CPA discusses this topic and some programs the IRS has to avoid crippling penalties. Is your homeschool teacher an employee or independent contractor? Should your homeschool co-op director be paid as an employee? How hard is it to set up a payroll system? What happens if my homeschool group misclassifies a worker? Are their penalties? Worker classification can be a confusing topic. I offer phone consultations to help you determine if your homeschool organization’s workers are employee or independent contractors. The phone call will be followed up with an email containing a fact-based determination and information to help you take the next steps. Should your homeschool co-op teacher be classified as an employee or an Independent Contractor? What’s the difference and how do you make the decision? Carol Topp, CPA, the HomeschoolCPA, sheds light onto this confusing topic and tells you how she determines if a co-op teacher is an employee or Independent Contractor. Carol Topp, CPA, the HomeschoolCPA will share tips on important issues that homeschool leaders may not know about. This episode will focus on worker classification — helping homeschool leaders understand how to classify their workers correctly as employees or independent contractors. What should a homeschool tutor do if she thinks she’s misclassified? How should tutors for a homeschool program handle their employment situation? They are required to use a specific curriculum, during a specific time and attend training. In light of Landry Academy switching to employees but still not being able to stay in business, I am wondering what your thoughts are. The closing of Landry Academy in late December 2016 was certainly sad and an eye opener. I don’t know the details of what happened to them, but it does seem they underwent an IRS audit and had to reclassify their teachers as employees. So what should a tutor (i.e. the worker classified as an independent contractor) do if she thinks she is misclassified and should be treated as an employee. 1. Always report in full ALL your earned income received from CC on your tax return, even if you do not receive a 1099-MISC or W-2. 2. Discuss your classification with the person who hired you, probably the owner of the homeschool program. Express your concern for her potential liability if she is misclassifying workers. Tell her about this IRS website and my book Paying Workers in a Homeschool Organization. I also offer a service for homeschool business owners or nonprofit leaders to help them correctly classify and compensate their workers. 3. 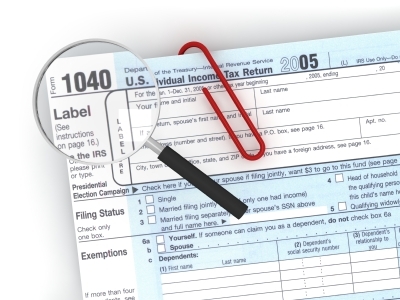 Discuss your classification with your tax preparer. Seek his or her opinion on whether you wish to take advantage of the IRS reporting program. Visit this IRS page for details. If you do not have a tax preparer, you can arrange a phone consultation with me to discuss your particular situation. Most important is for you to follow #1: Report all your earned income on your tax return even if you do not receive a 1099-MISC from the homeschool program owner. What tax forms does a homeschool co-op teacher file? Thank you for all the help you have already given our homeschool community! There is a homeschool co-op that allows teachers to charge the parents $0-$45 per student. As a teacher, how would I report any net income on my income tax return? Payments are made directly to me, the teacher. You report all your income and expenses on a Schedule C or the shorter form Schedule C-EZ as part of your federal form 1040. The net amount (Income less all your business expenses) is carried onto page one of your 1040 and added to your other income from W-2s etc. If you made more than $400 in net income (your income less any expenses) in the year, you will also have to fill in a Schedule SE and pay Self-employment tax (it’s Social Security and Medicare taxes for self-employed people). Homeschool leaders: If you hired and paid a teacher in the past year you may need to file some paperwork with the IRS! The deadline is January 31 to give your workers a 1099-MISC or W-2. Find out what to do in my book Paying Workers in a Homeschool Organization. Hi Carol, I just discovered your great website. I pay several people for private instruction for my child: violin lessons by a private teacher, gymnastics, ballet in a nonprofit ballet school. Can I send a 1099-MISC to any of these people or organizations? I’d like to keep my tax liability as low as possible. The Form 1099-MISC is to be given to a person who provide services to your trade or business. You do not give 1099-MISC to people you hire for your personal expenses (violin lessons for your children, etc). Report payments of $10 or more in gross royalties or $600 or more in rents or compensation. Report payment information to the IRS and the person or business that received the payment. Your personal expenses (violin lessons, gymnastics, ballet) are not tax deductible expenses.